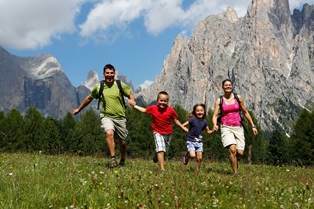 For those who want to vacation in the Dolomites in full freedom and still use 4-star hotel service, try the apartments at the Residence Peniè in San Vito di Cadore, 400 meters from the Parkhotel Ladinia. These are two town houses, surrounded by greenery, in the famous Belvedere area, quiet and near the ski lifts. The location over the town provides a magnificent view of the Dolomites. The apartments, complete with all the modern comforts and hardwood floors, are named after mountain flowers. Each has its own entrance and a parking space in the garage. 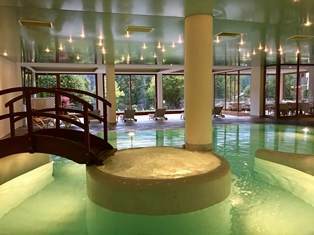 When the Parkhotel Ladinia is open, guests staying at the Residence Peniè can use the spa with indoor pool, sauna, steam bath, gym and children's playroom and dine at the restaurant at discounted prices. Include 1 master bedroom, 1 bedroom with 2 twin beds, living room with kitchenette, 1 bathroom.